patella tracks during knee movement. Internally-externally related sinew channels often function together to stabilize major joints and allow for balanced mobility of these joints. In some respects, they can have an agonist-antagonist functional relationship across these major joints. Patellar tracking and the Spleen and Stomach sinew channel provides an excellent example of this phenomenon. In many ways these two sinew channels, not unlike their respective primary channels and organs, work more in unison compared to other internally-externally related sinew channels. 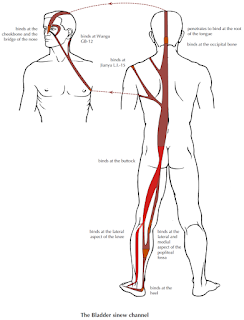 These channels contain the quadriceps; the Spleen sinew channel including the vastus medialis (medial quadriceps) and the Stomach sinew channel including the rectus femoris and vastus lateralis (lateral quadriceps). These work together to perform knee extension. Patient was a 40 year-old man with bilateral knee pain. Examination revealed tight lateral restraint. A tight lateral restraint indicates a tight lateral retinaculum which fails to allow proper medial patellar glide and tilt. Note the excessive lateral pull on the patella. So, how is it that these separate sinew channels balance the patellofemoral joint? To understand this, it is useful to look at the tensional pull the vastus lateralis and vastus medialis have on the patella. 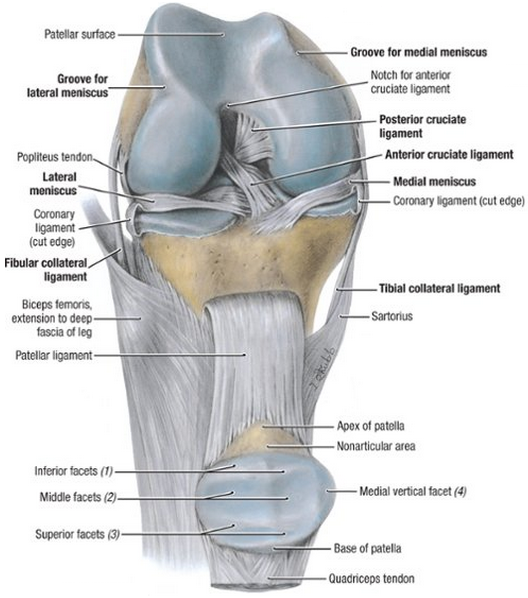 When looking at basic muscle anatomy texts, one sees that the quadriceps tendon wraps around the patella and then attaches to the tibial tuberosity. 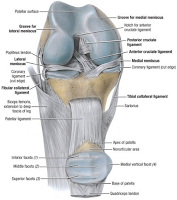 Actually it is called the patellar ligament from the patella to the tibia as it connects bone to bone, but it is the same structure as the quadriceps tendon. . The vastus lateralis muscle blends in with the lateral retinaculum and the vastus medialis blends in with the medial retinaculum and both exert a pull on the patella. In balance, this influences the tracking of the patella in the femoral groove. 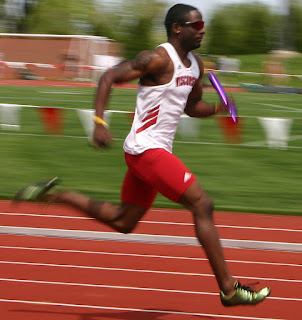 Often, the vastus lateralis becomes overactive and the vastus medialis becomes inhibited, contributing to an excessive line of pull in a lateral direction. 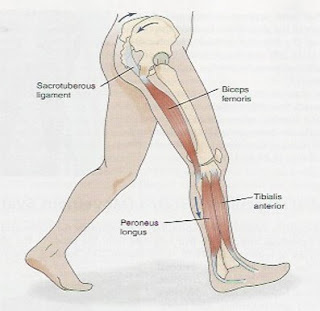 This is referred to as patellofemoral syndrome. It contributes to early degenerative changes in the cartilage of the patella, femur and/or tibia. Looking from a sinew channel perspective, this condition can be seen as a disorder between the Spleen and Stomach sinew channels. 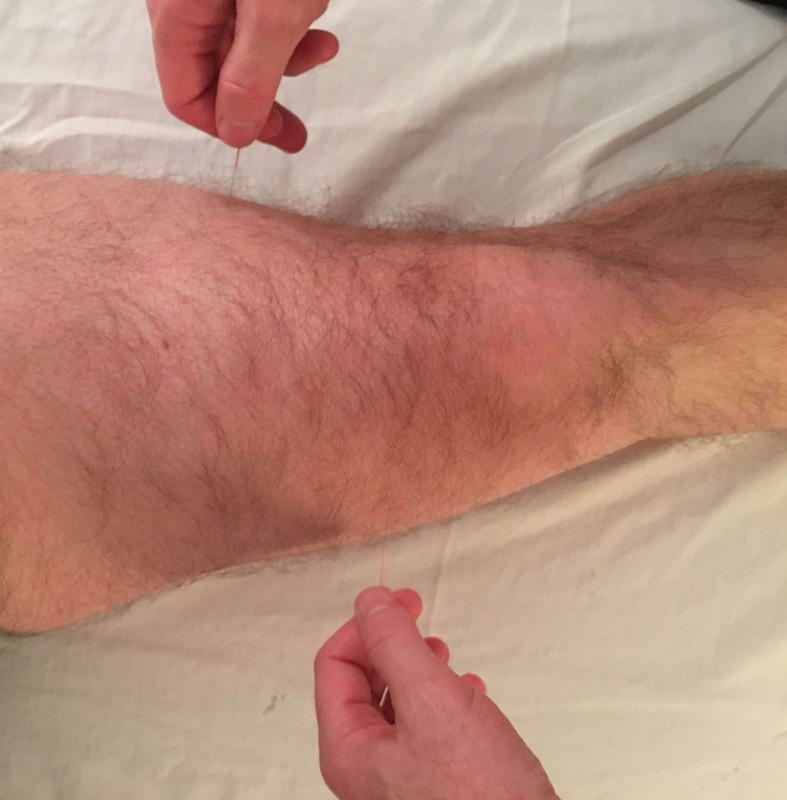 Treatment with acupuncture can consist of specific release techniques of the lateral retinaculum and specific local needling for the patellar pain. But the muscle firing can be directly affected by needling the motor point of the vastus lateralis which is at the extra point xinfutu, and needling the motor point of the vastus medialis which is at the extra point baichongwo. Getting Qi in both and stimulating these points at the same time can help balance the firing of these two important muscles related to the tracking of the patella. In addition, SP-6 and ST-36 can be added. The vastus lateralis and lateral retinaculum blend in with the fascia of the tibialis anterior. 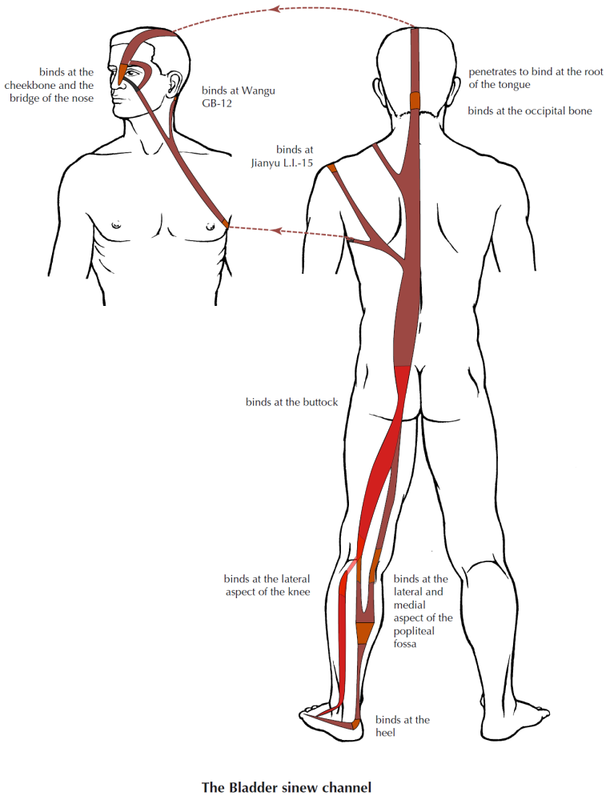 ST-36 is the motor point of this muscle and will help with the release of the Stomach sinew channel. SP-6 is a good distal point to assist with the ‘tonification’ of the vastus medialis. It has an interesting anatomical aspect that is discuss in a previous blog post called Sanyinjiao (SP-6)–Three Yin Crossing.